Castle Garage - a HondaCare approved body repair centre. What do you do in the event of an accident? Did you know that you can choose who repairs your car after an accident? 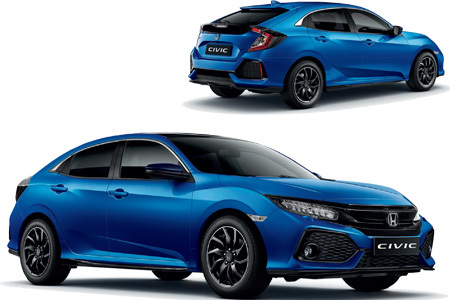 In simple terms, a "HondaCare Approved Body Repair Centre" is a Honda Dealership that has access to a body & paint repair facility which meets Hondas exacting standards. This means that we can deal with your enquiry from start to finish. Sadly, in the event your Honda is involved in a collision or incurs accidental damage to the body and or paintwork, we can't turn back the clock, but we can make sure it's repaired the way that you - and Honda - would want it to be. Contact the emergency services if necessary. Stay calm, if you have HondaCare Roadside Assistance, ring them on 1850 85 85 11. Don't get involved in an argument & don't admit liability. In the event of a collision you can choose who repairs your car. Even if your insurance company recommends or suggests a repairer, you do not have to use them. Castle Garage is here to help you in every way possible and can arrange for the necessary recovery and repair to our HondaCare approved body repair centre. For more information contact John or Derek.